What a year 2017 was, huh? We are already more than half-way done with January 2018 – how can that be?! I wonder – are you a goal setter? If so, I’d love to hear what your goals are for this year. If not, what does work for you? Click over to our blog. I’d love to hear from you. I’m not usually one who sets resolutions on New Years Day, but after an exceptionally difficult 2017, I was ready to bury myself in my work this new year. Due to fracturing my upper arm on Christmas Eve, which, on many levels was an apt ending to my 2017, I lost a good two weeks to pain management and adapting to wearing a sling. I usually rebel against schedules even when I impose them on myself. So I know how hard it can be to keep to a plan. But I’m an expert at keeping other writers on track. To date, I’ve helped people complete 30 drafts! If this is your year to finish your project, schedule a complimentary consultation. If you need any assistance keeping your writing goals, get in touch. Over the last few years, I started an art journaling practice and after a lot of instruction and online learning, and I’ve built up a volume of art journals. This type of visual journaling helped both my writing and my creative life in so many ways. I can’t wait to share the techniques I’ve learned along the way in my new, affordable, no materials fee, art journaling workshop. Art journaling is intuitive and rewarding, and you don’t have to be an artist to start an art journaling practice. But some basics would be helpful. Come explore this fun and relaxing art form every other week. Similar to my Sunday Creative Writing Workshops, we will do some generative writing and then build a mixed media art journal page around your prose. Discover the artist lurking inside your wordsmith mind. Learn more about my all-new Art Journaling Workshop. Last year, I hosted a 4-week outlining workshop that was a big success, so I’m offering it again. But this time I’ve added two weeks to make it a 6-week workshop. This class is perfect for people who have an idea for a story, or who have already begun writing a story and are stuck or don’t know what comes next. Learn the most common errors I see in manuscripts. Learn more about the Story-Outlining Workshop. 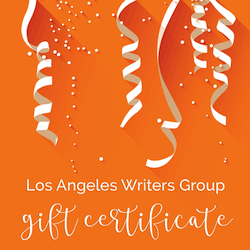 Get Writing Again – Discount! The 15-Day Writing Challenge has a new name! Get Writing Again! This is a 15-day email course designed specifically for those of you who’ve fallen off the writing wagon or want to begin a daily writing practice. In celebration of the rebrand, I’m offering this email course at a discount for the next week, so if you use the Discount Code writeagain1111, you will save 20% for this weekend only. I almost never offer discounts so hop on this one while you can! The code expires Monday, 1/22/18. Last year, I launched my new online coaching support group for writers working on a first draft. So far, 4 of our members finished their first drafts. (Applause! Applause!) The Incubator is an affordable way to get two hours of private coaching per month and twice-monthly online support group meetings. We’ve got a great group growing. The writers tell me that they love helping each other find new ways to stay productive. If you are interested in establishing more support for your writing project goals, schedule a consultation with me, and I’ll explain how it works. 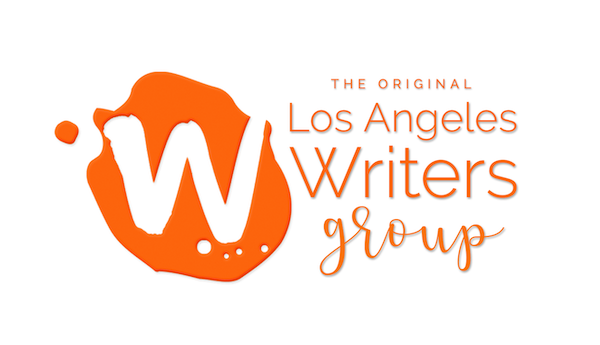 As a reminder, our generative and best-selling Sunday Creative Writing Workshop still takes place every Sunday, and now we meet for 30 minutes longer, from 11:00 a.m. – 1:30 p.m. Hope to see you there.